Located just south of Knoxville Alcoa was founded on hard working core values. Rusty Wallace Honda Dealership of Alcoa agrees with those values and has cultivated a reputation for serving Alcoa and the surrounding areas in an honest fashion since 2001. Rusty Wallace Honda has a commitment to customer service that has secured our name at the top of the list for Honda drivers of Alcoa. Firmly rooted in our values are the appreciation of customers and our commitment to fulfilling their auto buying and service needs. Take the short drive from Alcoa and stop in to view our inventory today. When you’re looking to upgrade or make your new car purchase in Alcoa, look no further than, Rusty Wallace Honda Dealership near Alcoa, TN. Rusty Wallace Honda Dealership is stocked with the new 2019 Honda models, and an extensive lineup of used cars, trucks, and vans. Our staff is committed to providing you a can’t-be-beat experience that can’t-be-beat by our competitors. At our Alcoa area dealer, you’ll find an experienced and knowledgeable sales staff that treats you like family and will guide you through our shopping and buying process. When you’re looking for your new car, look no further than Rusty Wallace Honda Alcoa. At Rusty Wallace Honda, our customer service commitment goes from the start to the finish of your Honda needs. Rusty Wallace Honda provides buyers with a top-notch, on-site financing department to secure your financing needs. Our team of financiers is here to help you along the way no matter what financing option you choose. Check out the special Honda incentives on our website for additional information from the manufacturer which we update monthly. For every car, truck, or van and for every customer we have the options to fit your lifestyle and your budget. The Rusty Wallace Honda Dealership team is pleased to offer our customers on-site Parts and Service Department. With hours of operation six days a week and as early as 7:00 am, we are here to provide you service for all of your repair and parts needs. Whether you’re coming in for a major repair or regular maintenance, tires, or an oil change, we are committed to fitting our schedule around yours and getting you back on the road in no time at a cost you can live with. 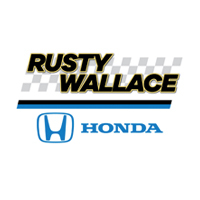 Rusty Wallace Honda Dealership is committed to serving Alcoa, TN and the greater Knoxville area. Since 2001 we have worked alongside Alcoa to be a trusted partner in the community and to provide exemplary service to Alcoa for the Honda needs. Stop in today for your test drive or your service and parts needs. We look forward to serving you. Explorer the 2019 Honda Accord near Alcoa Tennessee. Click the link below to explore the Accord and view options, colors, trim levels and Accord inventory. Explorer the 2019 Honda Civic near Alcoa Tennessee. Click the link below to explore the Civic and view options, colors, trim levels and Civic inventory. Explorer the 2019 Honda CR-V near Alcoa Tennessee. Click the link below to explore the CR-V and view options, colors, trim levels and CR-V inventory. Explorer the 2019 Honda Odyssey near Alcoa Tennessee. Click the link below to explore the Odyssey and view options, colors, trim levels and Odyssey inventory. Explorer the 2019 Honda Pilot near Alcoa Tennessee. Click the link below to explore the Pilot and view options, colors, trim levels and Pilot inventory.